In the old days of the Internet, we had just a few Top Level Domains (TLDs): .com, .net, .edu, that sort of thing. Over the years, tons more TLDs have been created to serve specific purposes (like .biz for, I presume, businesses that cannot afford .com) and geographies (did you know that .tv is the national TLD of Tuvalu?). The point I'm getting at today is that there is a .hiphop TLD, and it's fresh. Specifically, an unauthorized fan site (ahem) for McDonald's has taken up residence at mcdonalds.hiphop. 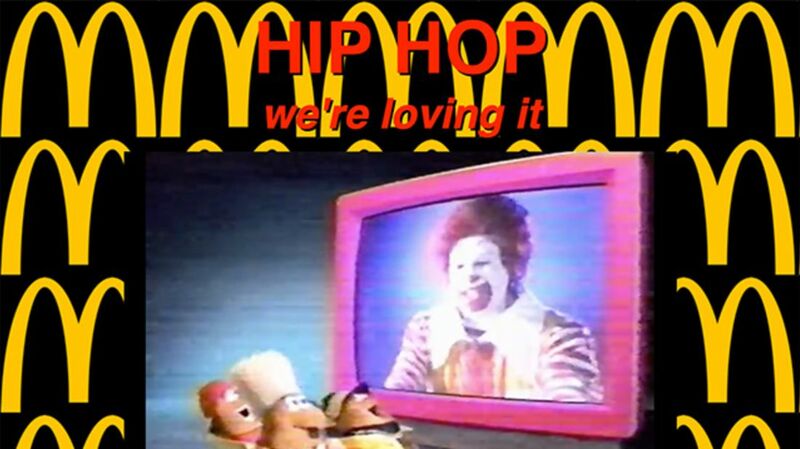 It auto-plays TV ads, old and new, in which McDonald's employs hip-hop in its advertising. I urge you to watch Ronald McDonald dance with a trio of McNugget MCs. If you stick around long enough, you'll enjoy hip-hop-themed ads from around the world. If single-serving sites aren't your thing (or when McDonald's shuts this down), you can just watch this YouTube playlist to get in on the action. For more on the TLD system, read my 2012 opus, The Weird World of Country-Specific Web Domains.